Skate parks are a great way to practice tricks, enjoy the feeling of speed and limited flight in one convenient place. 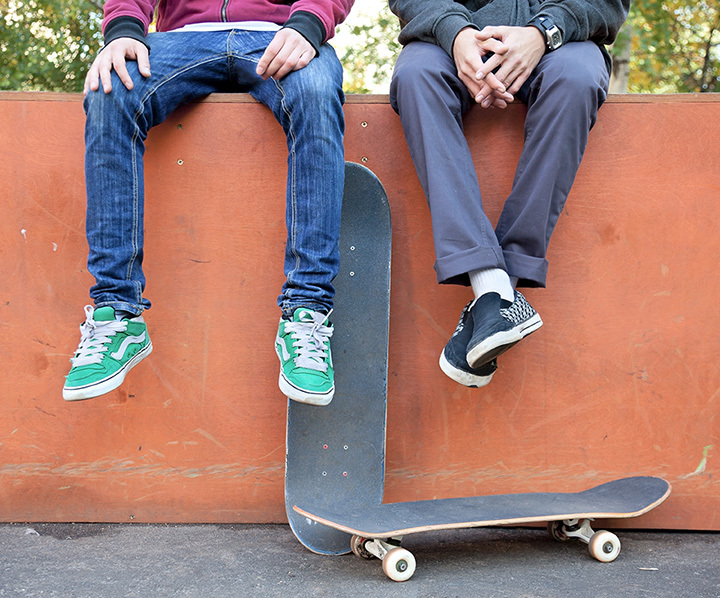 Michigan has a variety spaces that are perfect for mastering those moves, so pack your board because we're going to check out nine of the greatest skate parks Michigan has to offer! Not surprisingly, one of the best skate parks Michigan offers is in Ann Arbor. It turns out that there's a heavy concentration of these structures in major college towns like Ann Arbor, and of course Detroit is packed with them. Located at the Veteran's Memorial Park, this 30,000-square-foot concrete surface offers several different kinds of skating experiences from bowls to street runs. Reports suggest Tony Hawk once skated here, giving it an added gravitas in the community. In Mason, there's a little something special for skaters on hand: A complete indoor skate park that features a variety of ramps, jumps, and grindable surfaces to enjoy. It's been called the only premier mid-Michigan indoor skate park, so that lends it extra value as well. Beyond that, it features a complete slate of amenities, including Wi-Fi, lights, and restrooms. Users will need to pay access fees and sign a waiver, if such hasn't already been done. Traverse City plays home to the Civic Center Park Skate Park, which at last report still saw plenty of after-school traffic. A 25,000-square-foot masterpiece, the park opens after the first snow melt of the year and remains open until about November 15, or the first significant snowfall, whichever comes first. It charges no fees and features a concrete surface and offers both street and transition options for users to enjoy. A comparatively recent entry, the Clawson Skatepark Project brings a free-to-use concrete skate park to its users. An Evergreen design—a name which actually carries some weight among those in the skating community—the park features a variety of interactive points from hubbas to taco pockets. It will likely prove a surprise to find one of Michigan's best skate parks in Holland, home of tulips and windmills and the state's clearest connection to a Dutch heritage. The David L. Dirkse Skate Park in Holland, however, features much more than would normally be expected. The park was built, reports note, as the result of one $300,000 donation from the site's namesake. Featuring half-pipes, rails, bowls, mini-ramps and more, the Holland skate park is about as conclusively a skate park as they come. Though the Hart Ramps & Rails Skate Park in Hart, Michigan isn't much of a skate park, its location in Hart—a city of just over 2,000 as of the 2010 census—makes it unique for its small-town appeal. Boasting a few quarter-pipes, bank ramps, and rails, it's not exactly a skater's wonderland, but it certainly beats several less-than-legal alternatives. Mount Pleasant's Island Park Skate Park isn't perhaps so elaborate as some might like, but with a nice field of ramps and jumps to enjoy, it won't be a slouch. Plus, its location in Mount Pleasant—a town perhaps best known for its college, Central Michigan University, and its casino, Soaring Eagle—gives it some added benefit by virtue of being the only such entry around. Kalamazoo's semi-eponymous K-Zoo Skate Zoo is a bigger deal than most would think. While it's not as big as some, measuring in at 6,800 square-feet of indoor skate park and an outdoor street course that better than doubled the total area, it's also the oldest skateboard park in Michigan. With a spine ramp, Skatelite surfacing and an included pro shop, the K-Zoo Skate Zoo represents one of the best skateboard facilities in Michigan. The Naz Skatepark in Brighton represents something of a unique prospect in skate parks. While it's an indoor facility that has a wood surface and several ramps, it's also operated by the Brighton Nazarene Church. Used as a way to provide local youth with “...a high-energy, positive Christian environment free of negative peer pressure and influences,” the park charges $8 for admission...but those who attend a Sunday church service get a free pass for the entire week to follow.